As email marketing has gathered pace over the last few years, legislation has come into force that governs how businesses can use this medium to reach their customers. Q: What are the main regulations and legislation I must be aware of when creating my email campaigns? A: The main piece of legislation is the British Code of Advertising and Sale Promotion. This legislation now expressly compels all email marketers to comply with the data protection, privacy and distance selling laws. Specific rules applying to email marketing are the Privacy and Electronic Communications (EC Directive) Regulations 2003. It is advisable to familiarise your business with the DMA's summary of these Regulations and the "Guidance on the Privacy and Electronic Communications(EC Directive) Regulations 2003 for Marketers” published by the Information Commissioner’s Office in December 2006. Q: Do I have to have the consent of every person I want to send an email to? A: Yes, ‘prior consent’ is now a legal requirement that you must comply with. This is part of the Directive on Privacy and Electronic Communications legislation. If you buy an email list that contains addresses of potential customers that have given their consent to receive messages to another party, the law isn’t clear whether your business needs to ask for consent again. This indirect notification of consent must be treated on a per case basis. The general advice however, is to seek consent to ensure your complete compliance with the Directive. Note that these rules do not apply to email messages sent to businesses email addresses. 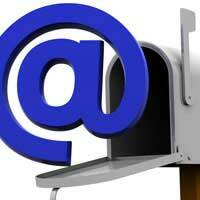 If you have obtained the email address you are using as part of a sales drive or negotiation. If you are marketing similar products that a person has previously given permission to receive email messages about. If a person is given the option to opt-out of future marketing messages but does not indicate this. However, it is important to give them this option at a later date. Q: Can I link customer support systems like cookies to my email campaigns? A: Generally, cookies are used to log customer information so they don’t have to enter this again when they come back to your website. A ‘buy now’ offer in your email message can be powerful as the cookie on your customer’s computer will enable them to buy the goods quickly and efficiently. It is a legal requirement to inform your website’s visitors that a cookie is being installed onto their computers. They should be given the chance to refuse this. Once they have accepted the cookie, your business dose not have to inform them again about the installed cookie. Q: Is there any specific information that I must include on my outgoing emails to customers? A: First and foremost should be a clear link that enables the recipient to unsubscribe from your mailing list. It is now also essential to include your VAT number and business registration number if you have these. You must also make it clear who the message is from. Q: Is there any specific information that I must not include on my outgoing emails to customers? A: It is illegal to disclose the email address of anyone without their permission. Therefore it is illegal to send email messages and CC other recipients as this would disclose their email address.